My food processor came today. Thanks, Amazon! First on the agenda? Peanut butter. 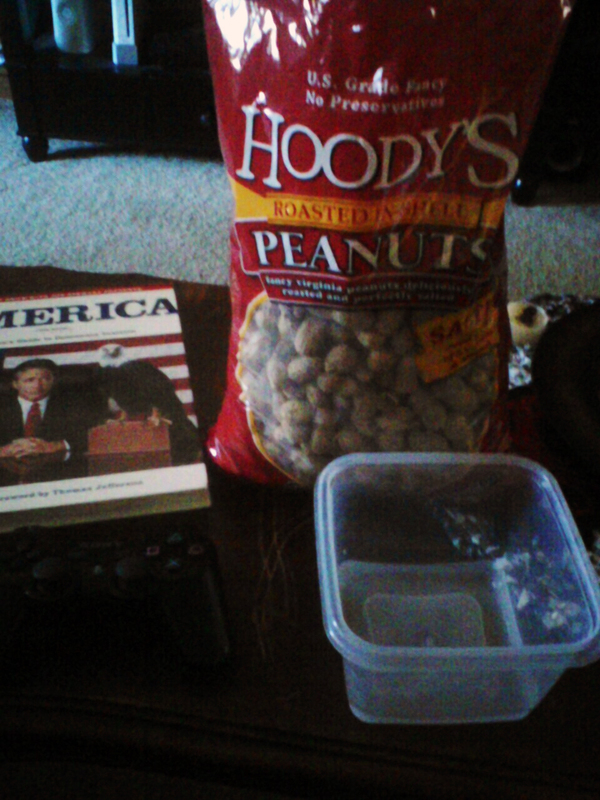 I bought a 3 pound bag of salted peanuts. My first mistake. The peanut butter is way too salty, but I can deal with that. My second mistake was buying un-shucked peanuts. Shucking half the bag took an hour and now my fingers are dry and sore. 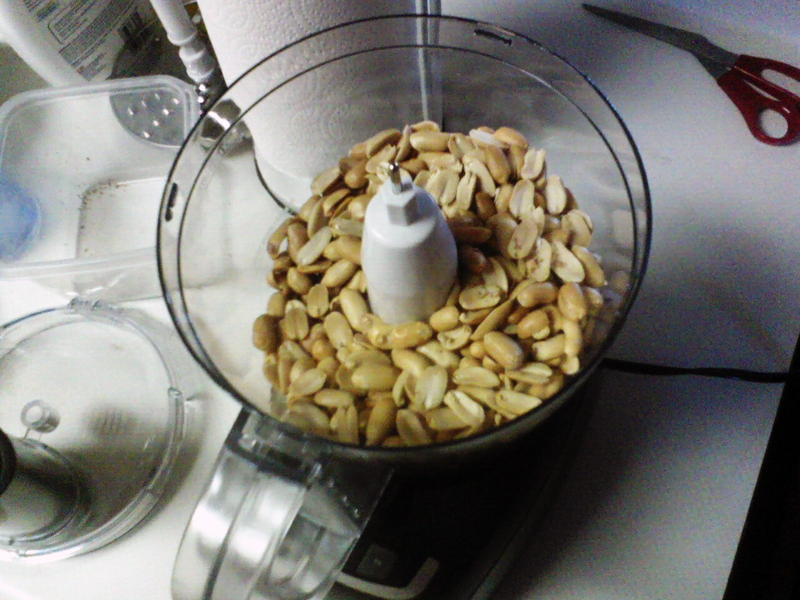 In to the processor went the peanuts. As well as some canola oil and honey. You don't have to use honey, but I prefer my peanut butter to be a little less au naturale. After processing for 20 seconds I add the oil and honey. If it's too gritty, process for more time, if it's not spreadable enough, add more oil. And there you are. Organic peanut butter you can make yourself for about $2 per 8oz jar. Goes great on toasted blueberry bagels. 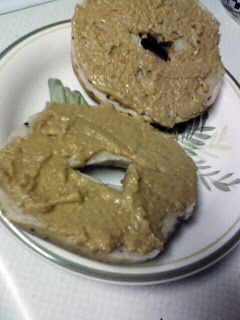 Another great thing about making the peanut butter today was 1. I got to do something I've never done before and I'll learn from my mistakes mentioned above and 2. 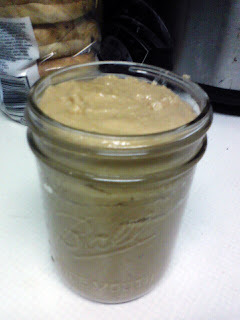 Micah now knows you can make your own peanut butter with peanuts and oil. He finds it fascinating. I don't think we'll ever go back to store bought.